The location was perfect, within walking distance of restaurants, shopping, museums. The room was clean, well decorated and much larger than we expected. It was more like an apartment. This was so nice and comfortable for our family. The kitchen was awesome and having a microwave, refrigerator, and dishwasher in the room was a bonus. Two bathrooms in the unit made it perfect! Not enough cover on bed. Pillows face wrong direction. Light bulbs in bath very dim. Blinds on window are not adequate to keep bright sun out in the morning. No brfkfast avail to purchase. The staff, rooms, price, hot tub, and location all exceeded our highest expectations!! My suite was very comfy. I also loved the fitness center. Used it twice during my 2-day stay. Holiday decorations are lovely. Staff was very friendly. Convenient location. Loved being so close to the Taos Art Museum and gift shop. The staff were exceedingly friendly. Facilities were wondeful. Return trip to this outstanding property located within 7 minutes walking time of the Plaza, minutes to Kit Carson Park and Taos Inn. The staff were so friendly and welcoming too! Can't wait to book for our next trip! Liked the upgraded bathrooms, nicely decorated 1 bedroom suite, the staff was friendly and helpful and the whole facility was very clean ... also close to restaurants, shops, etc. We have been coming to the Feshin Inn since it opened some 20 years ago. Lock in a great price for WorldMark Taos – rated 9.2 by recent guests! WorldMark Taos This rating is a reflection of how the property compares to the industry standard when it comes to price, facilities and services available. It's based on a self-evaluation by the property. Use this rating to help choose your stay! Featuring an outdoor swimming pool, this Taos, New Mexico accommodations has an art gallery on site. Kit Carson Home and Museum is a 5-minute walk away. Each accommodation includes a kitchenette, a sitting area, free toiletries and a private bathroom. Inspired by the southwest, the rooms at the WorldMark Taos are furnished with dark wood furnishings and light colored linens. The Enchanted Circle is 9 miles from the Taos Resort and Ernest Blumenschein Home and Museum is a 10-minute walk away. 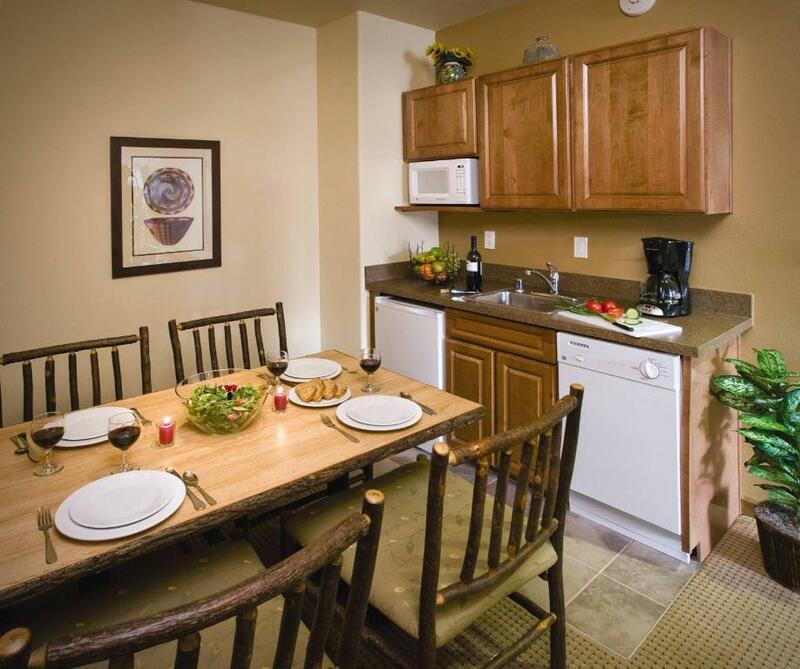 La Hacienda de los Martinez is less than a 15-minute walk from the WorldMark Taos. This property is also rated for the best value in Taos! Guests are getting more for their money when compared to other properties in this city. When would you like to stay at WorldMark Taos? This studio includes a kitchenette, a seating area and an private bathroom. A Queen sized Murphy Bed that pulls down from the wall is also provided. 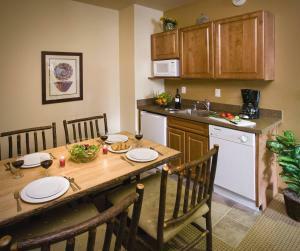 This suite features a living room and a kitchenette with a kitchenette with microwave and a dishwasher. This room also offers a Queen Murphy bed in the living room. 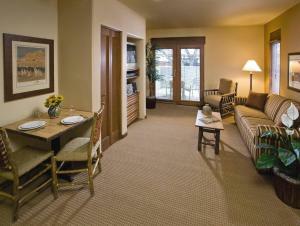 Treat yourself to a well-appointed studio or one-bedroom condo at WorldMark Taos, a stylish northern New Mexico resort. Skiing and hiking is the domain of Wheeler Peak Wilderness Area. Great artwork can be appreciated at a multitude of galleries. Dazzling sites as far as the eye can see will be enjoyed along the Enchanted Circle Scenic Byway. And history galore is in store for those who visit the Kit Carson Home and Museum. WiFi is available in all areas and costs USD 15 per 24 hours. House Rules WorldMark Taos takes special requests – add in the next step! WorldMark Taos accepts these cards and reserves the right to temporarily hold an amount prior to arrival. Please note that the full price of the reservation will be charged upon booking. Contact the property for more information. Please note that the full amount of the reservation is due before arrival. Wyndham Extra Holidays will send a confirmation with detailed payment information. After full payment is taken, the property's details, including the address and where to pick up the keys, will be sent to you by email. Pillows + bed was uncomfortable. When they booked us they put us in a room that accommodates 2 people and we have 3. So my grandson had to sleep in the floor. The worldmark is a wonderful place. But we will never hse booking.com. The bed wasn’t very fresh...maybe the mattress. It smelled liked someone had already slept there. It is centrally located and very restful. The lighting in the room was terrible. Not enough lights and those that were there had light bulbs that were much too dim. Great location. Friendly staff. Beautiful area. Rooms are very small. Sleeping on Murphy bed was very uncomfortable. Bed very small, short, with space behind bed where your pillows would fall off bed. Would not stay here again in a Murphy bed room .